​Inland Fisheries Ireland (IFI) are the state agency responsible for the conservation, protection, management, development and promotion Ireland's inland fisheries and sea angling resources. Ireland has over 74,000 kilometres of rivers and streams and 128,000 hectares of lakes all of which fall under the jurisdiction of IFI. Inland Fisheries Ireland is committed to ensuring that angling continues to be recognised as a valuable national asset and to achieve the maximum benefit to the exchequer by promoting angling as a leisure pursuit and by developing the tourism potential of this resource. 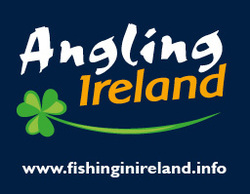 ​IFI staff provide essential support to the match fishing festivals of Ireland where resources allow. Their support can include preparing the swims, running the draw through to the weigh-in and bio-security. The inadvertent introduction and transfer of invasive plants and animals and harmful pathogens represent major threats to Ireland’s habitats, native species and internationally renowned fisheries. By encouraging the introduction of a disinfection process at angling matches helps us to preseve the ecology of Ireland's natural waters. IFI carried out this process for the World Pairs Angling Championship with a ground breaking first introduction of the process in County Fermanagh in support of this cross border match.